What drinks pair well with Iberico ham? Savouring an authentic Acorn Iberico Ham is one of the most exquisite pleasures. Acorn Iberico Ham possesses by itself the gastronomic features to be a food star in every plate but such a delicious food can be paired with many other delicatessen that help to stress and highlight the Iberico ham. There are no formal rules but some general guidelines have been drafted by the experts. Matching food with the perfect beverage means an authentic feast for our taste buds. Pairing basic principle is: wine should reestablish the balance in the taste. If we are savouring a hot plate like the cocido stew, the wine should be young and refreshing in order to cool our mouth before our next spoonful. Red wines aged or not and White wines without much acidity are the best pairings for acorn Iberico ham. Nevertheless experts claim the best pairing for acorn Iberico ham is Sherry. Spanish Sherry provides aromas that match perfectly well with ham in the mouth due to their softness, their slightly salty touch and low acidity. Besides the sour final taste of Sherries pair seamlessly with the fat of Iberico ham. This is due to its chamomile dried flowers aroma and dried nuts notes and even some sea and iodized notes in the case of Manzanilla wine. It is important to point out that the Sherry should be young and fresh as Iberico ham does not pair so good with Oloroso Sherry o very fragant wines with intense flavours that may steal the spotlight from the flavourful pig meat. 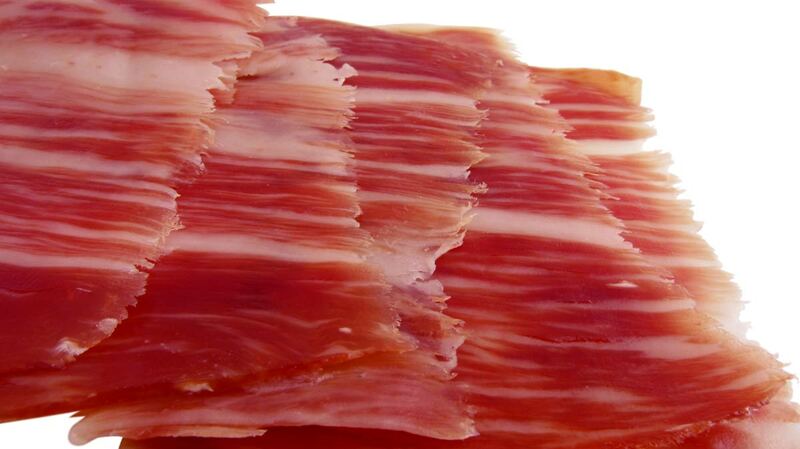 Acorn Iberico hams aged for long periods of time pair really well with reserve red wines. This is due to the exact degree of aromatic concentration. Wines from the AOC Ribera del Duero and Rioja combine really well with a good acorn Iberico ham. It is essential to know that the perfect pairing between wine and quality acorn Iberico ham is born on the palate and is experienced with all senses, therefore the importance to know how to enjoy Iberico ham with every sense. Beer pairs brilliantly with spicy, hot or acid plates and also with ham and any kind of cold and smoked meats. In other countries we can find also excellent pairings that empower the flavour of Iberico Ham without overwhelming it. Italy: Brunello de Montalcino and Chianti Classico, are two of the most important wines in the world and match acorn Iberico ham, well known in Italy as "pata negra" or black paw. France: Champagne made of grape varieties like Chardonnay, Pinot Meunier y Pinot Noir, pair Iberico ham equally well as they do with desserts or appetisers. ¿Which wine is the best to pair and to make acorn Iberico Ham even more delicious? 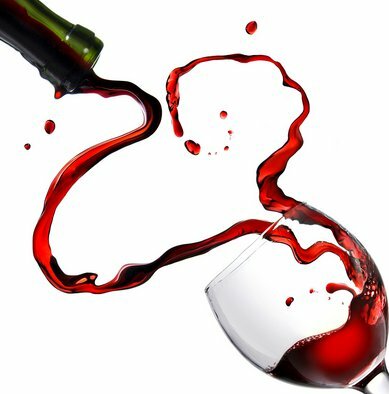 It should be a balance between the alcohol content and acidity and the wine should possess some natural tannins not covered by strange and strong toasting in wine casks. Sparkling Wines: Preferably they should have been aged for 15 months or more, always Brut Nature or Brut. The more aged is the Iberico ham the older and more powerful the wine to pair it. Whites: Young wine due to is freshness, fruity aroma and acidity will not be able to pair ham so good. On the other hand, medium aged white wines, like some Chardonnays from Burgundy or Viura whites from Rioja can offer some perfect flavours when pairing not very long aged Iberico hams. Rosé Wines: They do not pair so well with Iberico ham. Young Reds: Iberico ham makes an excellent combination with Young reds made using carbonic maceration, not so well with mature young reds which show powerful tannins. Aged Reds: They make the best pairings but if we have to choose, we should prefer reds with polished tannins where wood does not overwhelm and possess good acidity to clean the Iberico ham fat. Sweet wines: We would advise against this pairing as their features, specially the sugar can overshadow many Iberico ham flavours. As you can find tons of different flavours in an Iberico ham depending which part you cut, the beverage used to pair the ham may strengthen and even stress them. One of the most inspiring pairings shown at Madrid Fusión Fair was: Japanese sake, a wine made from rice distillation. Cold sake offers a unique taste that pairs perfectly well with Iberico ham, “cleaning” the palate and encouraging anyone to keep on eating. Some connoisseurs maintain that pure acorn Iberico ham offers different flavours and aromas depending on the Appellation d´origine contrôlée where they come from as feeding and weather affect the curing of ham. For instance a brut nature cava is more suitable for an Iberico ham from Guijuelo which is softer, and a Brut nature cava would suit perfectly a Jabugo Iberico ham, which is more intense in flavor. You have plenty of options regarding which beverage to pair pure acorn Iberico Ham, but whatever beverage you choose Iberico ham is so flavourful that it will stand out rewarding your palate with bold and fantastic flavours.